Has anyone else forgotten about their New Year’s resolutions? If you’ve thought of adopting a plant-based diet or eating more plant-based foods in 2019 but don’t know where to begin at mealtimes, this Prep for Plant-Based Eating post is for you. We’ve included shopping list suggestions, plant-based influencers, recipes and a shortlist of recommended restaurants to make your life easier. Our Kale and Quinoa Burgers are a tasty treat for all plant-based eaters, providing vegan- friendly, low sugar and low saturated fat alternatives for your meals. Our burgers offer a crispy crust, mixed vegetables and no artificial flavours. To top it off, our burgers are especially dynamic – they can be used as starters, side or as a bun. Get stuck in! Who said vegetables weren’t supposed to be healthy AND delicious? These low-fat, earthy, crispy fries are the perfect side to any meal. Even kids won’t be able tell the difference. Be sure to scoop them up on your next shopping run! Our Garlic Roasted Sweet Potato is a tasty treat that will catch you off guard! This unexpected combination mixes sweet potatoes, garlic, onions and herbs to create a mouth-watering side-dish, perfect for those cosy winter days. This quick little number puts a STRONG ROOTS spin on a traditional burger. Our Pumpkin & Spinach burgers in salad cups with homemade Vietnamese dipping sauce will not disappoint! Our Spinach Bites are extremely versatile and perfect for any occasion. They can be used as a starter, main or even a simple snack! Easy and delicious! 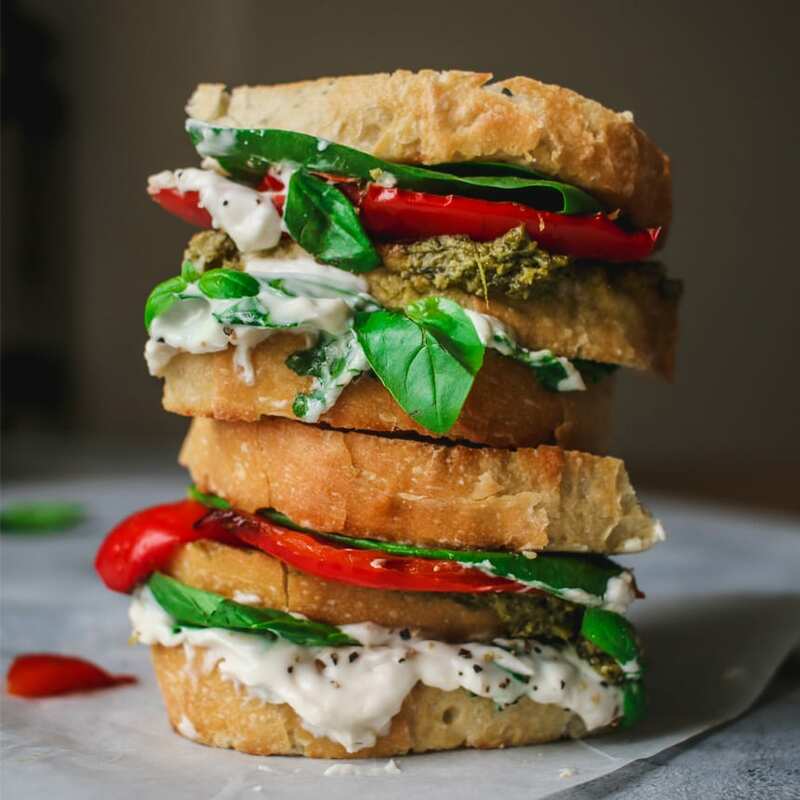 UK blogger @Lucy_and_lentils created this ‘Ultimate’ Sandwich for everyone and anyone! It’s easy to make with five simple ingredients and incredibly tasty! 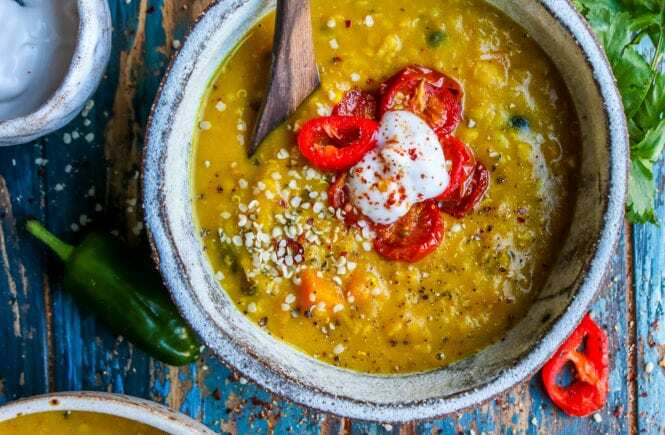 @happyskinkitchen really knows the way to our hearts with this Dahl recipe. Pairing the sweetness of the coconut with the zesty lime, truly divine. Perfect for a cozy Sunday family dinner! The STRONG ROOTS Buddha Bowl is a modern culinary classic! Buddha bowls require creativity and innovation to create something truly amazing. The bowl consists of veggies and protein and can be a unique opportunity to use food leftover from other occasions – dig in! Blazing Salads contains an exciting mix of flavourful and irresistible vegan options, offering variety in a city where plant-based food is still on the rise. As they say on their website, “It’s an experience like nothing else!” Sign us up! Vish Shop is one of Dublin’s few vegan takeaway! The concept was created by plant-based eating visionary Mark Senn, who created the takeaway to cater to his own needs. The result is a selection of tasty takeaway treats for plant-based eaters – yum! Sprout is offering plant-based eaters a mix of delicious wraps, salads and cold-pressed juices. The team even allows you to customize the menu, so you can get exactly what you want! If the food isn’t enough, they stock Boringly Good drinks and Roasted Brown Coffee! Award winning vegan restaurant in Cork, Ireland. Their Garlic Mushroom Bruschetta is a must have! Guaranteed you will leave feeling very satisfied! Good Life Eatery is in the heart of Nottinghill, UK. It began with two girls wanting to bring something new, fresh and healthy to the community. From cold press juices and smoothies to all day menu, if you’re in the area – it is definitely a must! Chloe Coscarelli’s brand is inspiring for anyone following a plant-based diet. She makes a plant-based diet accessible, delicious, and not to mention stunning – check her out! Jordan Younger’s blog captures the joy of nourishing breakfast bowls and smoothie mixes served all with a Californian twist! Jordan’s recipes are so simple you can whip up her recipes in just an instant! Follow for a sneak-peak into her amazing plant-based life, you will obsess over her Spirulina ice-cream, her mouth-watering coconut date rolls and last but most definitely not least her absolute favourite: baked banana sourdough toast! Elisa, also known as @happyskinkitchen is one of the UK’s renowned plant-based bloggers. Initially Elisa changed her diet to better her skin, but has now found a passion for healthy living & cooking! Lucy decided on a plant-based diet when she was in school. She sought out to live a healthy lifestyle and go against the societal ” food norms” and found a knack for creating delicious & easy meals for everyone (no matter your dietary restrictions). Veghuns includes “3 vegan gals navigating their way through plant-based eating in Dublin”. These ladies not only give you the best tips & tricks for an easy and accessible plant-based diet, but also give you tips on where/how to sustain a healthy diet by eating in AND out! This Irish blogger/jetsetter has a passion for all things plant-based. Roz gives her readers useful information on delicious recipes, exercise tips and tricks, and travel. She’s a one stop shop for an overall healthy lifestyle. Rhiannon is not your typical blogger. With multiple degrees in nutrition she uses her blog to educate her following on how to live a healthy plant-based lifestyle. Fancy some facts & statistics on a plant-based diet? Give her a follow! Brian, also known as @thesexyvegan blogger is known for his love for plant-based food and loved for his sense of humour. Go check him out! Let us know how your plant-based journey is going in the comments section below or tag us in a picture on social media. We love hearing about your creations!